Affiliated faculty, Science Studies Program and Critical Gender Studies Program. Modern cultures and societies of France, the U.S., and Japan; print culture and visual media; interdisciplinary studies of science and medicine; globalization and public health. 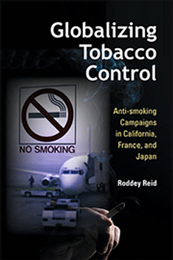 Roddey Reid is an interdisciplinary scholar working at the intersection of French studies, science studies, communication, history, and cultural studies. He holds a B.A. in English literature from Duke University and a Ph.D. in French literature from Yale University and has studied and conducted research in the U.S., France, Italy, Belgium, and Japan. His teaching and scholarship at UCSD focused on the history of modern cultures and societies from the perspective of the changing ways in which citizenship and selfhood are shaped by particular cultural forms (literature, media, advertising, fashion), governmental policies, medical and scientific knowledge, and social movements. 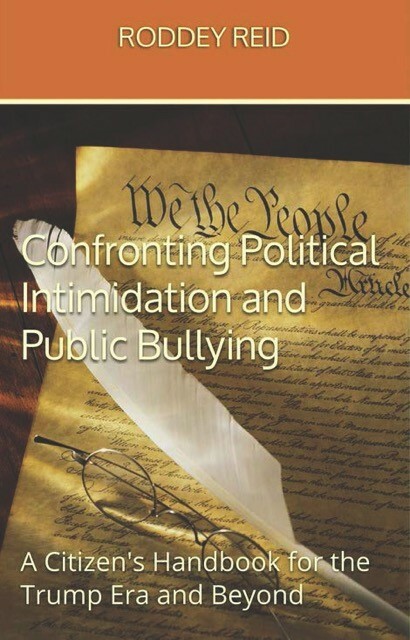 A former Japan Foundation Abe Fellow (awarded by the Social Science Research Council), his most recent book is titled, Confronting Political Intimidation and Public Bullying: A Citizen’s Handbook for the Trump Era and Beyond (2017). 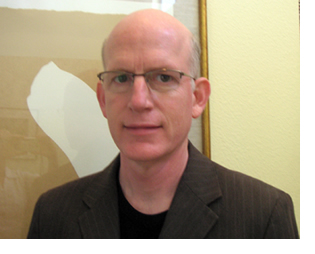 He is also is author of Families in Jeopardy: Regulating the Social Body in France, 1750-1910; (Stanford University Press, 1993), co-editor (with Sharon Traweek) of Doing Science + Culture: How Cultural and Interdisciplinary Studies Are Changing the Way We Look at Science and Medicine (Routledge, 2000), and author of Globalizing Tobacco Control: Anti-Smoking Campaigns in California, France, and Japan (Indiana University Press, 2005). His most recent research has been on cultures of intimidation and bullying in the U.S., Europe, and Asia. He served as Department Vice-Chair (2009-14) during which time he chaired the Literature Building Committee and oversaw the implementation of remediation measures that addressed environmental health issues affecting the Literature Building. He also chaired the Academic Senate Committee on Planning & Budget (2012-13) that authored a ground-breaking overview of UCSD’s budget and planning processes, "UCSD and Its Budget Challenges". He co-founded and led with Shankar Subramaniam (Chair, Bioengineering, 2008-13) the Council of Chairs (2010-14), an independent organization of all 50 academic department chairs, section heads, and vice-chairs in General Campus, Health Sciences, and Marine Sciences that has enriched campus governance. He served as a member of the UCSD Future Group (2011-12) of faculty & administrators that drew up recommendations for incoming Chancellor Khosla and served as a member of Chancellor Khosla’s Strategic Planning Committee (2012-14). In 2014-15 he chaired the Senate Coursera Workgroup that organized a UCSD campuswide workshop on Intellectual Property, Copyright, and Fair Use in the age of MOOCS and the Internet in May 2014 UCSD Campus Workshop; sponsored by the Academic Senate and the Office of the Chancellor, it was led by IP legal expert Kenneth Crews of Gipson Hoffman & Pancione of Los Angeles and featured Angus McDonald, Counsel, Office of the President and Amy Blum, Counsel, UCLA. The Senate Coursera Workgroup successfully pushed for strengthening IP protections for UCSD and its faculty in current and future contracts for online and hybrid courses developed with the UC Innovative Learning Technologies Initiative (ILTI) and with 3rd-party MOOC providers. “Affect, Trauma, and Daily Life: Transatlantic Legal and Medical Responses to Bullying and Intimidation.” In Science & Emotions after 1945: A Transatlantic Perspective. ed. Frank Biess and Daniel Gross. Chicago: University of Chicago Press, 2014, 265-86. "The American Culture of Public Bullying," Black Renaissance Noire, vol. 9, nos. 2-3 (Fall-Winter 2009-10): 174-87. "The US Public Culture of Bullying. TOPIA: Canadian Journal of Cultural Studies 20 (Fall 2008): 129-49. "Smoking," in Encyclopedia of Contemporary Japanese Culture, ed. Sandra Buckley. London: Routledge, 2002. Co-author with Sharon Traweek. "Researching Researchers." 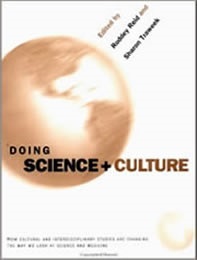 In Doing Science + Culture. New York: Routledge, 2000: 1-19. Co-editor with Sharon Traweek. Doing Science + Culture: How Cultural and Interdisciplinary Studies Are Changing the Way We Look at Science and Medicine. New York: Routledge, 2000. 322 pp. "Death of the Family, or, Keeping Human Beings Human." Posthuman Bodies. Eds. Judith Halberstam and Ira Livingston. Bloomington: Indiana University Press, 1995: 177-199. 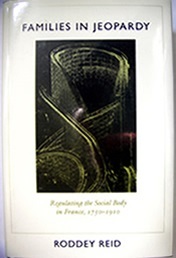 Families in Jeopardy: Regulating the Social Body in France, 1750-1910. Stanford: Stanford University Press, 1993: 368 pp.